The best way to determine what part number you need it to look for the number printed on the part itself. 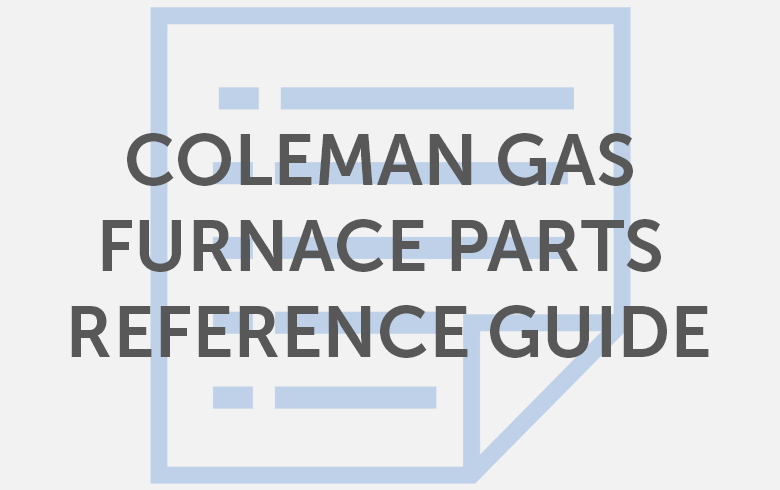 If that’s not possible, then this cheat sheet may help you determine which parts you need for many common Coleman gas furnaces. the last 3 or 4 letters is the series (BDTA). If the model number contains mostly numbers (like 7975B856) , the first four numbers are the model and the last three are the series. TIP: To search for your furnace on this page, place your cursor below the page heading and type ‘Control F’ and enter the model number.